The Northern Tien-Shan Mountains are the most visitable in Kazakhstan because of the proximity of big city – Almaty. To the system of the Northern Tien-Shan mountain ranges belong: Trans-Ili Alatau, Kungey Alatau, Terskey Alatau and Ketmen (Uzynkara). The Trans-Ili Alatau Mountains surround Almaty in the south. 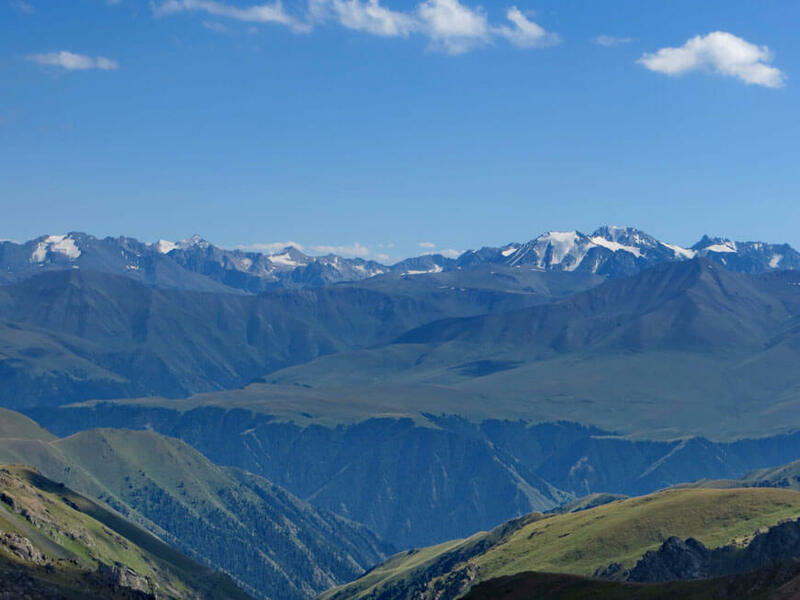 As a result this part of the Northern Tien-Shan Mountains is the most accessible for tourism. You needn’t waste a lot of time to get from the center of the city to the start point of hiking path. It is just taking 1-1,5 hours. 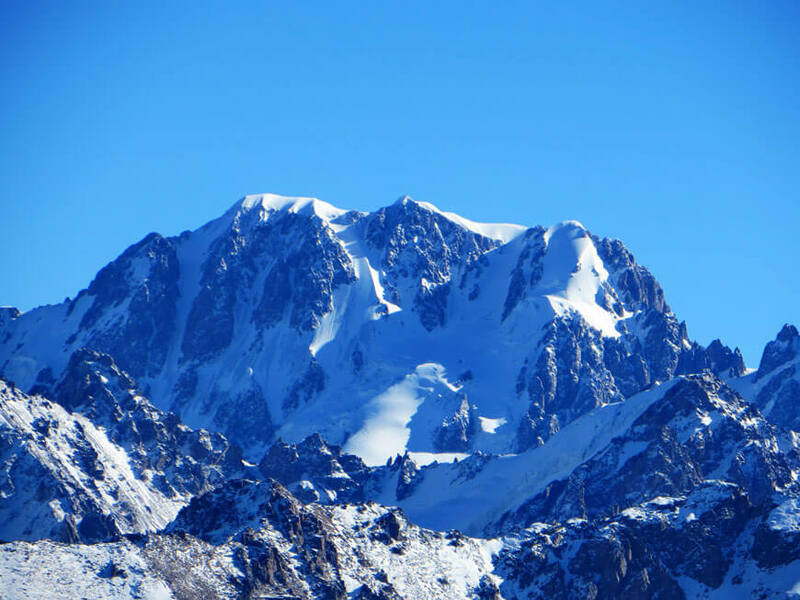 The Trans-Ili Alatau – is the northernmost mountain range, which is rising to elevation of 5,017 m (peak Talgar) above the Ili depressions and stretch 360 km from west to east, a distance of some 30-40 km. Only northern slopes of eastern part of Kungey Alatau included in the edges of Kazakhstan. The length of the mountain range is 156 km, width – 12 km (Kazakhstan part). The highest point is the peak of Tchaikovsky (4,653 m). The Trans-Ili Alatau has a fairly steep northern slopes and more gentle south. Before the plain northern slopes throughout its entire length change over the hilly “counters”. 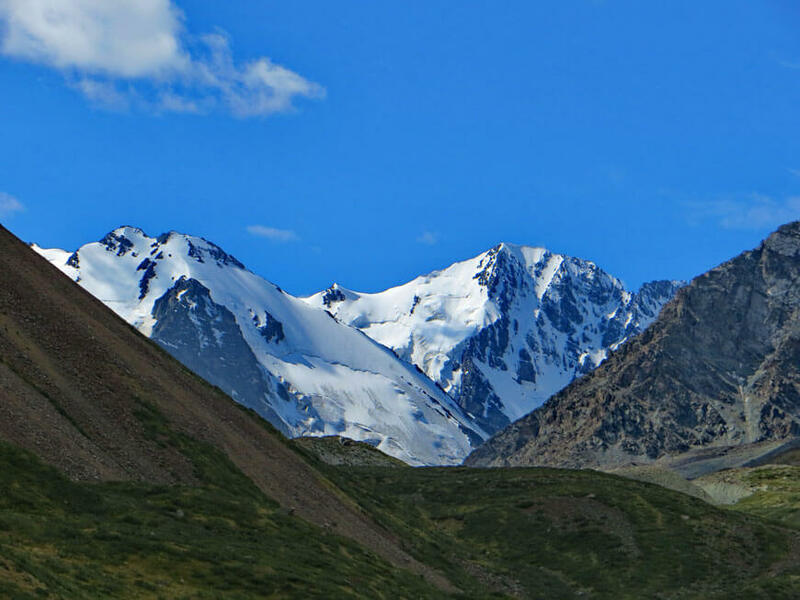 The southern slopes go down into mountain valleys of the Chilik river (Kazakhstan) and the Chon-Kemin (Kyrgyzstan). The eastern and the western end has a flatter terrain than the average of the range (plateau Asi, Zhinishke valley – in the east, Kastek and Karakastek – in the west). For the Trans-Ili Alatau characterized by U-shaped canyons, long moraine ridges in front of large glaciers, making it difficult to approach them. Kungey Alatau with its northern slopes go down to the valley of the river Chilik, to the Zhalanash valley, and in the far east to the Charyn river. Valleys of the Kungey Alatau are rather flat, however, slops are as steep as in the Ile Alatau. The southern slopes descent into the basin of Lake Issyk-Kul (Kyrgyzstan). The distinctive feature of Kungey Alatau is high alpine plateaus which are situated between the U-shaped valleys at the junction of the river Chilik. They appear to the west of the Uryukty river valley. By the north way to the Chilik river the plateaus ends by abruptly, and in the south part they are framed by rocky snow-ice peaks, which are more than 4,000 m high. The forest grows mainly on the northern slopes. In winter the snow mass accumulates there. Often slopes of the southern part don’t covered by snow. It is important to know that in summer the eastern slopes of mountains are warmed up in the morning, so the possibility of the rock falls are in the morning, and on the western part – in the afternoon. So the northern slopes are not dangerous, because most of the year they are covered by snow or ice, and the southern slopes are usually too flat. 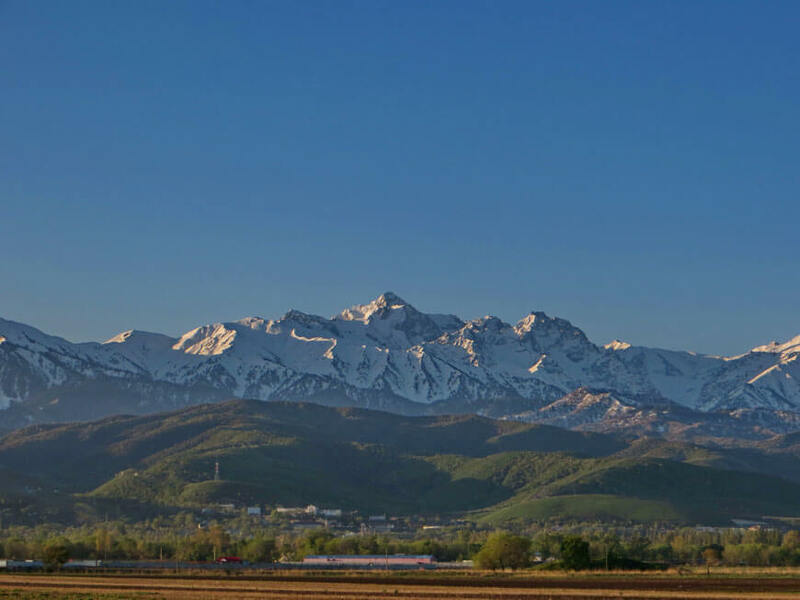 In the Almaty region there are three main types of climate: plain, foothill and mountain. The differ of types in temperature, precipitation, wind, etc. The climate of the region has its own territorial peculiarities. For the flat part of the Almaty region it characterized by extreme continental climate, cold winters (average temperature in January is -11 … -13 °C), hot summers (average temperature in July is + 24 … + 26 °C). The average annual precipitation ranges vary from 120 to 300 mm per year. The most arid area is the southern shore of the lake Balkhash. In the eastern plain part of the river Ili winters are milder (average temperature in January is -7 … -9 °C). Summer diurnal temperature differences are less significant (12-15 °C) than in the north (15-20 °C), and the average temperature in July is + 24.0 … + 24,5 °C. The average annual precipitation is 180-250 mm a year. There is no explicit maximum of precipitation. Foothills are characterized by a mild climate, which is expressed in a less significant differences in seasonal and diurnal amplitudes of temperatures with more precipitation. Average temperatures in January and July in the foothills of the Tien-Shan are -4,5…-6,5 оС and +21,5…+23,5 оС. In the foothills of the Tien-Shan the average annual amount of precipitation is about 600-700 mm. Two well-defined maximum of precipitation are in spring (April-May) and autumn (October-November). In spring maximum is in 2 times intense than in autumn (200 and 110 mm). In the mountains range of temperature and precipitation is rather complex due to altitudinal zones, and regional differences of the highlands. In the high plateau amount of precipitation is little, and the amplitude of average monthly temperature fluctuations is much more than in the deep canyons. Winter in the mountains more milder than in the plains and foothill parts of the region. The distribution of the wind regime in the territory is also uneven, the strongest winds blow in the plains area where speed is about 4-6 m/s, in the foothill and mountain areas winds are more weaker than 1-3 m/s. The strongest winds are in the Lake Zhalanashkol (near Alakol), sometimes their power reaches 25-30 m/s. In summer this area receives the greatest influx of solar radiation. In autumn and winter there is the largest number of sunny days in a year, especially in the mountains. Fogs are characteristic of lowland areas and often repeated in the cold season (November-March).In the summer the thunderstorms regular in the foothill and mountain areas. 25-35 days a year. The number of days with unfavorable natural events (heavy rains, hail, high winds, snowfalls) no more than 5 days per year. The snowstorms and dust storms are often observed on the plains of Northern part of the region. The most comfortable season for tourism development in Almaty region lasts from May to September and from December to February. In early spring, tourists feel quite comfortable on the Charyn or Altyn Emel. In summer a great number of tourists moves to the mountainous areas of Almaty region such as Big and Small Almatinka canyon , Issyk, Turgen and Aksai, Kolsay and Kaindy lakes etc. The active tourism season lasts from May to September. Difficult mountain Hiking and climbing to the far high peaks, requiring a long approach, it is better to commit in July-August and first half of September. In the vicinity of Almaty, the season of the one day hikes lasts almost year-round, except for the two most avalanche dangerous months: in March and April (look at calendar of tourist events). In winter in the mountainous areas is comfortably to enjoy winter outdoor activities (skiing, snowboarding, freeriding or backcountry). Seasonality of winter recreation is associated with the existence of a 30 cm stable snow, which lies from the first decade of December to the end of March – beginning of the first decade of April. However, in March it is necessary to ride safely because of the season of massive avalanches. In Almaty region touristic off-season begins in autumn (late October-November) and spring (March-April). All the rivers of the Northern Tien-Shan belong to the Ile-Balkhash water basin. The largest river – Chilik, length of 245 km. Formed by the confluence of the South-Eastern Talgar, Issyk and South Zhangaryk. It has many tributaries flowing down from the Northern slopes of the Kungey Alatau and the southern slopes of Trans-Ili Alatau. 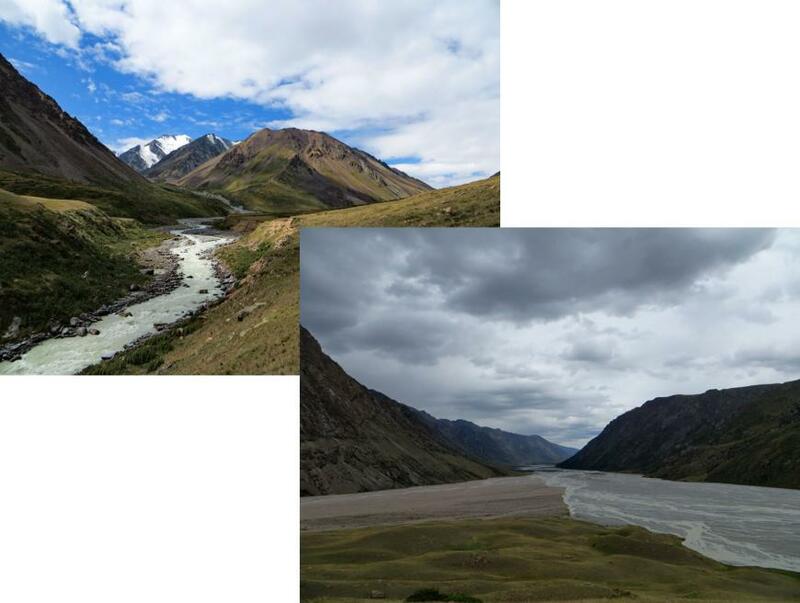 The origins of the river are some of the largest glaciers of the Northern Tien-Shan – Korzhenewsky (10.7 km), Bogatyr (8.7 km), South Zhangaryk (7.1 km), Zhangaryk (5.7 km) and Noviy (5.4 km). 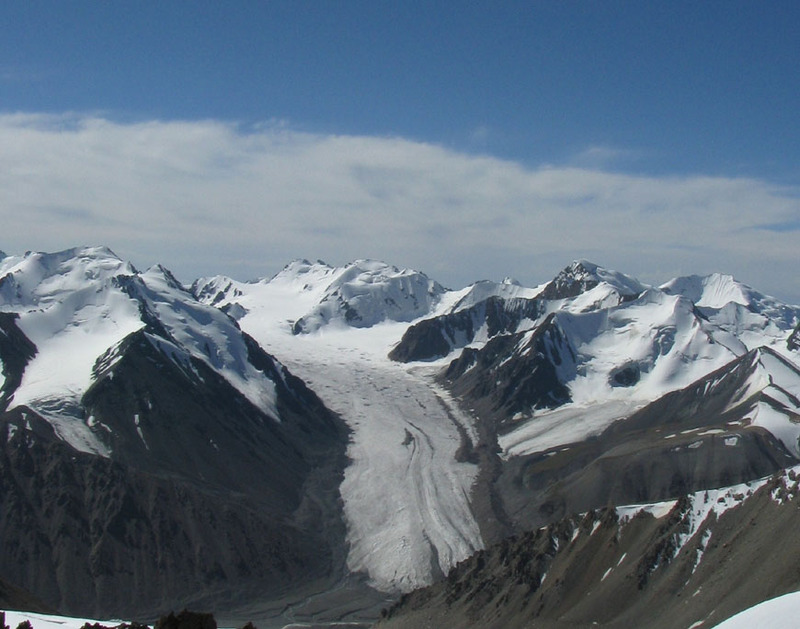 The largest by the area in the Trans-Ili Alatau is the glacier Korzhenewsky , and in Kungey Alatau is Zhangaryk glacier. From the Northern slopes of Trans-Ili Alatau many rivers are flows down, but their sizes are not comparable with the Chilik river. These include: Turgen, Issyk, Talgar, Kaskelen, Uzyn Kargaly, Aksay, Chemolgan, Big Almaty, Small Almaty, Kargalinka, Kyrgauldy, Kastek and other smaller watercourses. The largest glaciers of the Northern slopes of Trans-Ili Alatau are: the Constitution (4.7 km), Shokalsky (4.3 km), Dmitrieva (4.1 km), Mountain Institute (3,8 km), Cassina (3.7 km), Zharsay (3.5 km). Tourists should be aware that the sharp rise of the water level in all rivers with glacier-derived nourishment is observed in the second half of the day, the maximum in the late afternoon, so take major rivers wading is better in the early morning. Rivers, the power of which largely depends on glaciers are deepest in August. In the region there are many moraine-dammed and landslide-dam lakes. 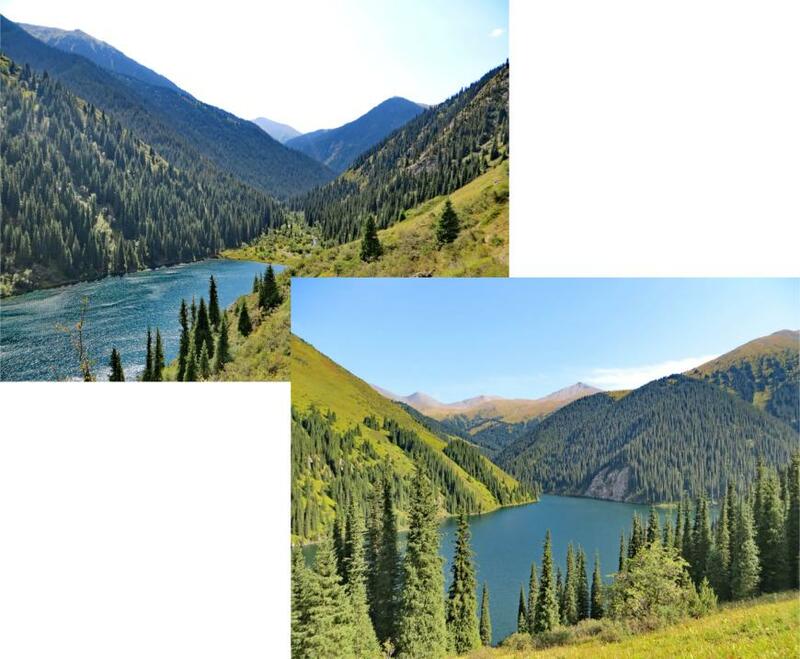 The most famous in the tourism plan are: system Kolsay lakes, Kaiyndy, Issyk, Big Almaty; as well as moraine lakes Chemolgan (Maktalykol and Aykol) Kaskelen (2 Cossack lakes), Aksay (2 Aksay lakes), Issyk (Akkol and Muzkol) and other lakes without names in the Left Talgar, Turgen and Turgen in the upper reaches of many of the gorges of Kungey Alatau. LIKE IT? BOOK YOU TOUR RIGHT NOW!